President Donald Trump lashed out at NBA star Lebron James after a CNN interview in which James said Trump was using sports to divide the country. Melania Trump followed up the next day, issuing a surprising, positive statement about James, praising his work to further children's education. 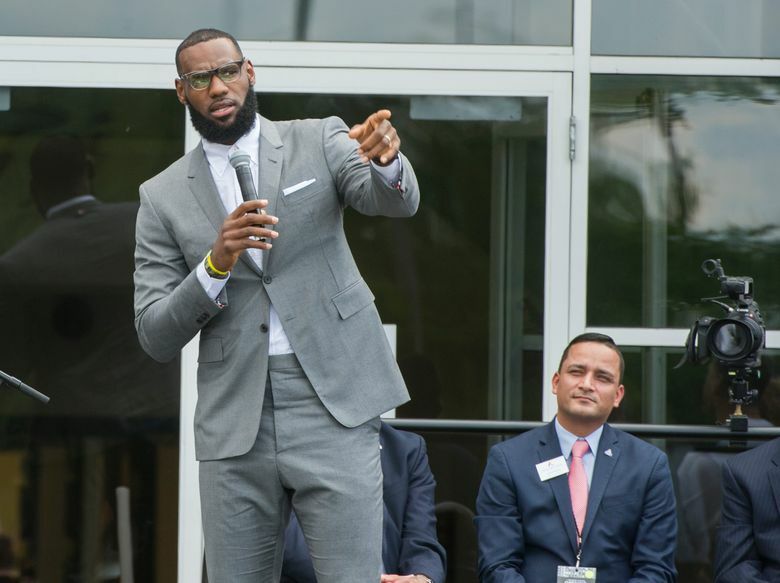 President Donald Trump lashed out at basketball star LeBron James in a scathing attack on Twitter on Friday night after James criticized the president in an interview on CNN. In a wide-ranging interview with Don Lemon, an anchor on CNN, James spoke about a school for at-risk children that he recently helped open in his hometown, Akron, Ohio, in a partnership between his philanthropic foundation and the city’s public schools. During the interview Monday, he also said Trump was using sports to divide the country. The interview was aired again Friday night, and Trump responded on Twitter shortly after, insulting James’ intelligence and that of Lemon. The reference to “Mike” appeared to be Trump’s way of taking sides in the debate over who is the greatest basketball player of all time: LeBron James or Michael Jordan. Trump has often heralded his own IQ and has questioned the intelligence of others, including Jon Stewart and George W. Bush. The latest attacks, directed at prominent black people, appeared to widen the racial divide that James spoke about on CNN. Trump made his comment a day before a scheduled appearance Saturday night in Ohio — home of the Cleveland Cavaliers and many LeBron James fans — to campaign for Troy Balderson, a state senator who is running in a special election for the House of Representatives. Lemon came to James’ defense Saturday morning, tweeting: “Who’s the real dummy? A man who puts kids in classrooms or one who puts kids in cages?” He added the hashtag #BeBest, a reference to an initiative by the first lady, Melania Trump, that aims to help children. Grisham added that Melania Trump would be open to visiting James’ new school in Akron. During the CNN interview, James said conversations about race had “taken over” in part because “our president is kind of trying to divide us.” “Kind of?” Lemon said, followed by a chuckle. James has been critical of the president in the past. Last September he called Trump a “bum” after the president appeared to disinvite the NBA championship-winning Golden State Warriors from a traditional White House visit because one of their stars, Stephen Curry, criticized Trump. In June, before James left the Cavaliers for the Los Angeles Lakers, Curry and James united during the NBA Finals to say that they would boycott the White House. “I know whoever wins this series, no one wants an invite,” James said at the time. Afterward, Trump announced that neither team was invited. On Monday, the same day as the CNN interview, James told ESPN that he felt compelled to speak out about the Trump administration. Trump’s tweet was swiftly condemned by many on social media, including Dan Rather, the former CBS News anchor, who said the president’s words were racist. Numerous current and former NBA players also denounced the president’s tweet. “I’ve been silent about ALL of the DUMB stuff this man has tweeted but THIS is attacking the NBA brotherhood and I’m not rollin’! What an embarrassment…” wrote Anthony Tolliver. As of Saturday morning, James remained silent on the matter. By late Saturday morning, the president had moved on, and was wishing the Coast Guard a happy birthday on Twitter.